I was super excited to make this video, so I just have to share it with you! 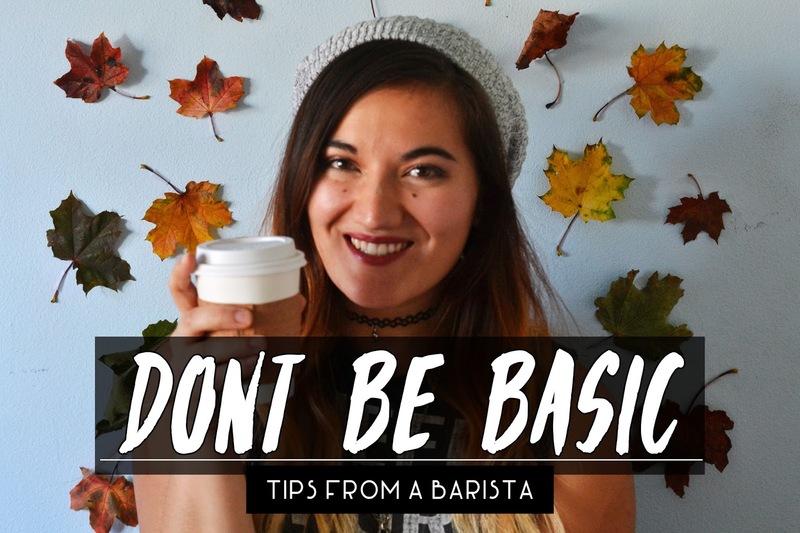 A while ago I did a couple posts entitled The Bitchy Barista, and I've always wanted to kickstart that topic again. I absolutely love coffee, and working with it has been a dream come true. There's nothing more satisfying than recommending a drink and a customer loving it. So I decided to make a video on it! What with fall finally making it's appearance (we're having rainy, crisp days now! Yay! ), it's coffee weather. I get that Pumpkin Spice Lattes are a thing for fall, but I'd like to remind you that pumpkin sauce can be used in multiple ways. Check out my video to get ideas on what else you can order next time you go out for a cup of coffee! haha love the background! And even though im not a latte fan these actually look really good! I need a breve asap! Holiday weight here I come! I am not a coffee drinker but I love that you made a video! Very creative:)! Linda, I'm so glad you presented other options. PSL's are just too sweet for me. Will definitely try these and I love the leaves you used in your background. So cool! Thank you for this video! It's great! I'm not particularly a fan of pumpkin flavored anything but I really like the honey cinnamon breve and butterbeer latte ideas! It's funny, pumpkin spice lattes are so big in the US but I don't think our Starbucks has them here at all! It's much to warm for hot drinks now anyway I guess, haha! i love americano and how strong it is! it gives the kick to my day everytime! I love your blog!!! This post is amazing!!! great pictures!!! Would you like to follow each other? ?Follow me and I follow you!! That background is fantastic! It's nice to get recommendations from someone who knows that they are talking about!